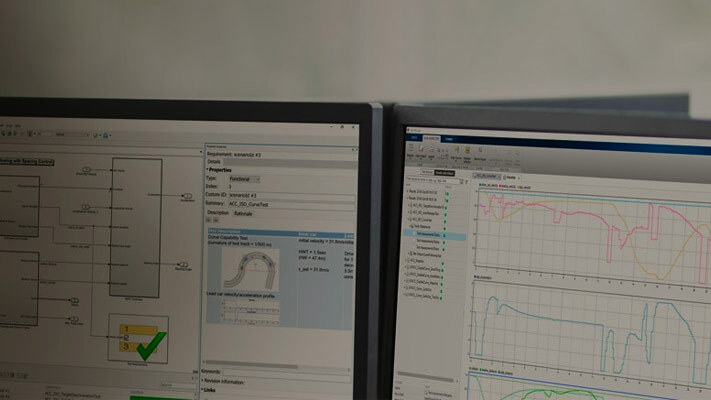 Simulink® Test™ outputs graphical results of the Model Verification block library so you can use the Test Manager or Simulation Data Inspector to see when your test assessments pass and fail. Determine the time step when a failure occurs. Debug the model by comparing the verification result with relevant signals. Trace failures from the results to the model. This example shows how to view outputs from Model Verification blocks in the Test Manager or Simulation Data Inspector. 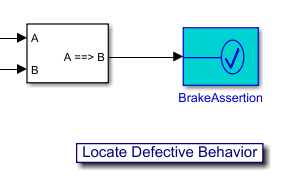 The model contains a verification subsystem Safety Properties that uses an Assertion block to check whether the system disengages if the brake has been applied for three time steps. The verification subsystem also uses Simulink® Design Verifier™ blocks. After the simulation completes, open SDI. The results show that the assertion failed at 0.23 seconds. To find the assertion block in the model, right-click BrakeAssertion in SDI and select Highlight in Model. The block is highlighted in the verification subsystem.